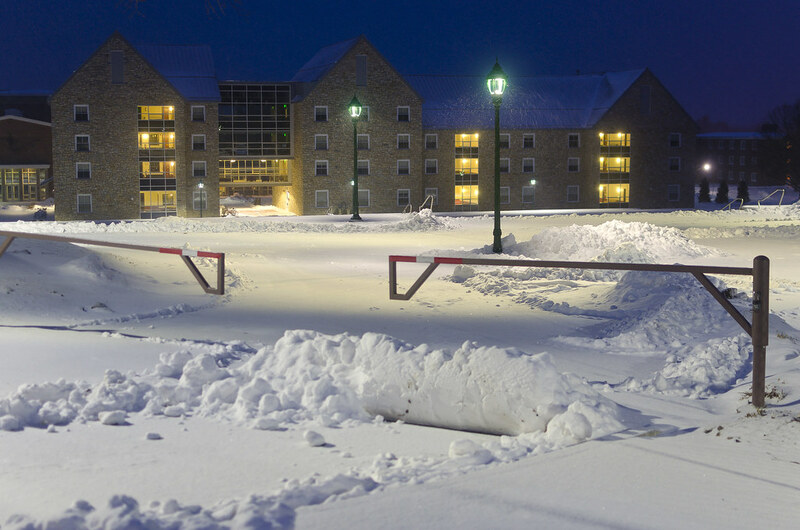 In case you were wondering where I get the expression that St. Lawrence University looks like “a ski resort without the ski slopes,” last weekend provided some pretty good evidence. The modern-but-slightly-Nordic buildtings, the oft-cleared pathways, and the gates with reflective tape on them all remind me of ski lodges. Perhaps the best way to describe the school during winter break is a ski lodge for cross-country skiers?